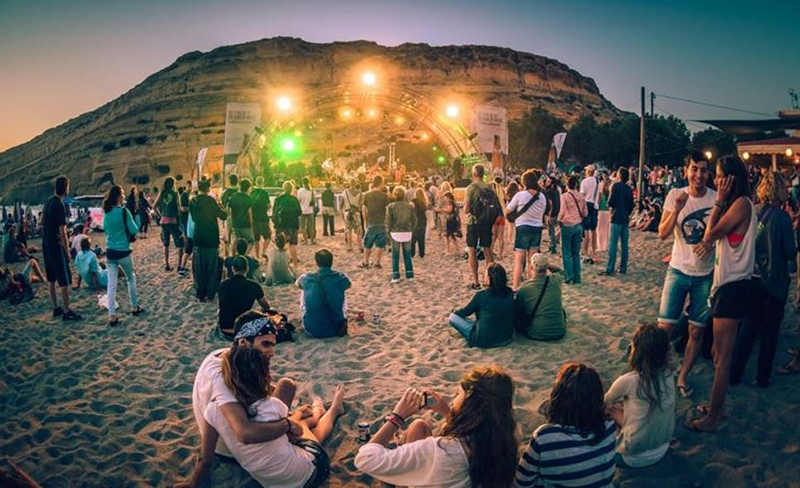 Live Your Music Adventure At Matala Beach Festival 2016! Matala in Heraklion, Crete, create their history every summer in a 3-day music adventure, known as the Matala Beach Festival! For three days and nights, time stops and acquires a special dimension: popular Greek and international repertoire artists will give their best in three festival stages and will participate in the most dynamic, multidimensional musical collaboration of summer. Would you like to stay in Matala? 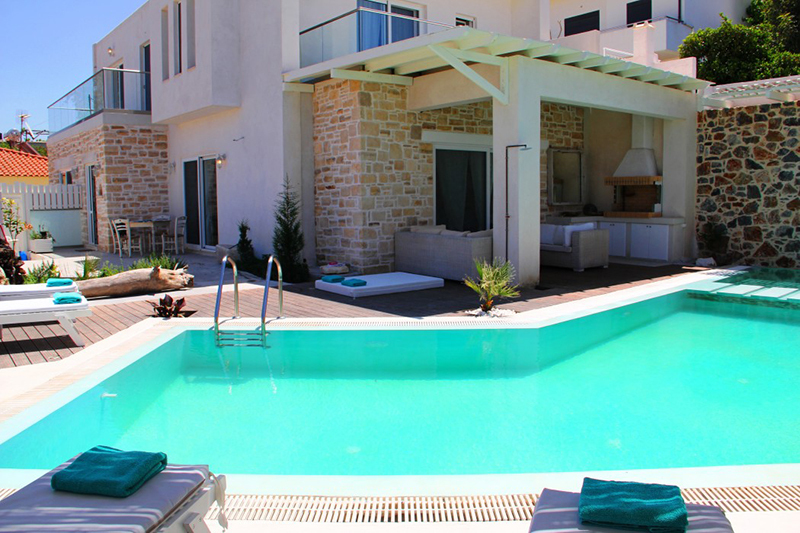 Check out these Holiday Homes in Matala! You will have the chance to enjoy Tributes to favorite artists in magic sunsets and sunrises on Matala beach – Doors (Moonlight Overdrive), Police (UK), Pink Floyd (Backtrackin ‘) – as well as Dj sets! Except from music, there will be creative activities organized throughout the Festival: theater, children’s activities, and many other surprises! 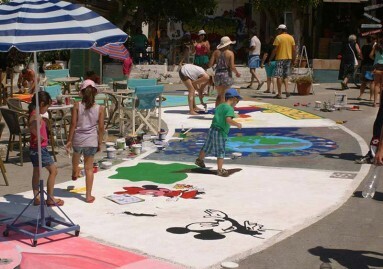 A timeless value of the festival is “Matala street painting”, the largest pre event of the festival, a weekend before it starts: use your imagination, be inspired and leave your own mark in the square and the surrounding streets of Matala, which is converted into a huge canvas. 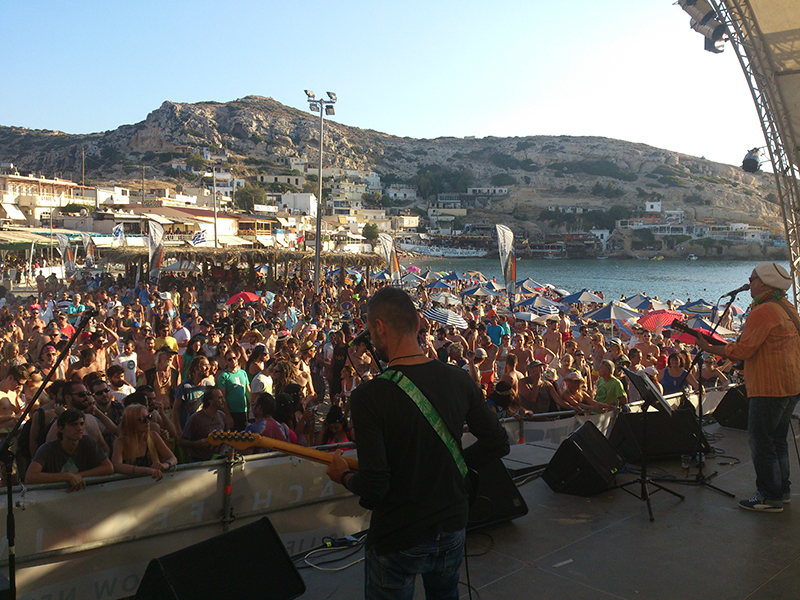 That’s why Matala Beach Festival is the most vibrant and colorful festival of the summer! How did all these start? In 2011, Arn Strohmeyer chose Matala for the presentation of his book «The Myth of Matala». 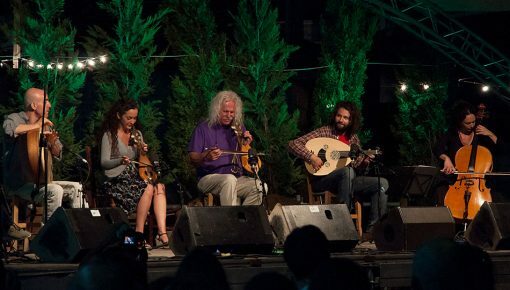 The Presentation was accompanied by various musical and live events, making all those who missed Matala of the past, return to Matala of 2011! Eventually, it turned out that the myth of Matala beach is always alive, as more than 35,000 visitors were present, while next year, this number was doubled. Year in year out, the Matala Beach Festival is getting even more organized: more artists are invited, more extra-concert activities are organized and the magic of the legendary caves of the Libyan Sea remains alive. All these make Matala Beach Festival not only an international festival, but also an international meeting point. This year, in Matala Beach Festival, you will get the chance to take part in 3 full days of music, joy, fun and positive emotions. The days have already passed and the preparations for the biggest music event of the summer continue unabated. 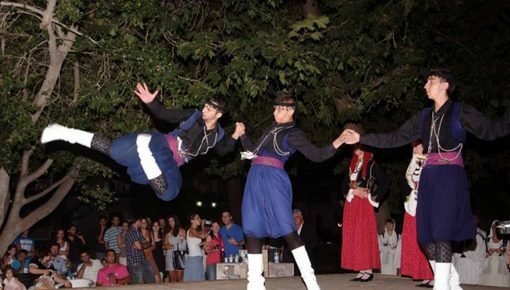 For one more year, Matala welcome all of you to visit it on 17, 18 & 19 of June and spend a weekend full of music, dance and many other surprises. 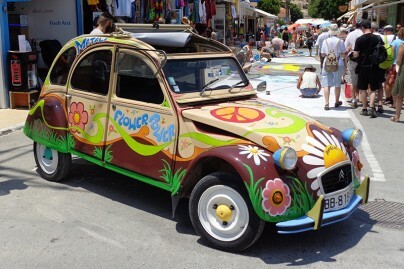 Those who expect to find themselves on Matala beach in June, where the “flower children” lived, will have the opportunity to live unique moments, as the music and dance, in combination with the rest activities that are organized will shoot the mood soar. 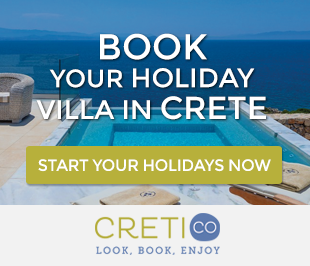 Read also: Crete Family Holidays, The Safest Holiday Destination For Your Family! It seems that the beginning of the festival will be really great, as the names of the artists who will be on the Cave stage on Friday, have already been announced: “Alone Together”, “Soul Fire”, “Koza Mostra”, “Billi Merziotis and After Hours” and the Greek artist “Filippos Pliatsikas”. All these unique bands will join with their favorite songs, offering an explosive music show, and marking the start of the greatest festival of southern Greece with free admission. 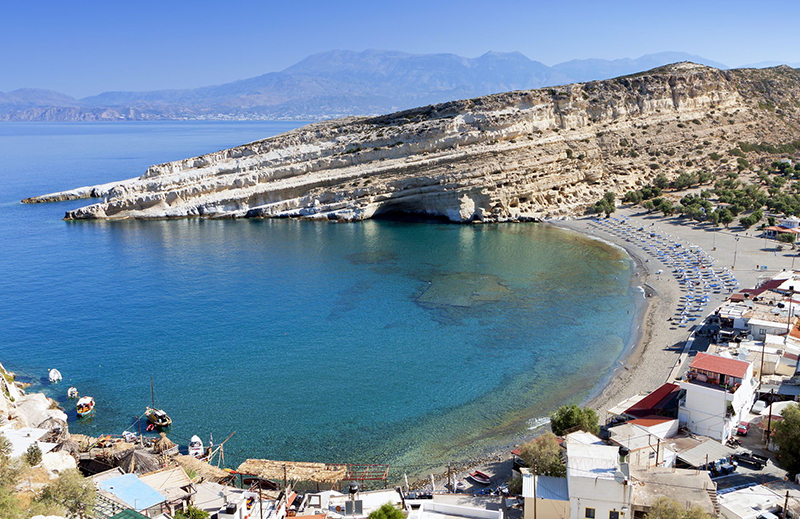 On Crete, there are bus routes covering the entire island and Matala of course, while the car is an even more convenient solution, thanks to the existing road network, which allows you to reach every place easily and quickly. 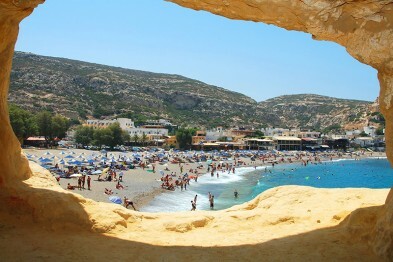 Matala is 71 km south of Heraklion, a very beautiful and scenic spot on the bay of Messara. The road to Matala is extremely good, with asphalt and adequate road signage. After all, you are heading to one of the major tourist resorts in Crete. Where to stay in Matala? Whether you travel with your friends or family, probably you are looking for a comfortable stay. Holiday villas in Matala and the surrounding area are a perfect solution, as you will enjoy privacy, comfort and easy access to Matala Beach Festival, the most exciting of 2016! Posted on 14 May 2016 in Cretan Culture, Featured Posts and tagged Feasts In Crete, Matala Beach.